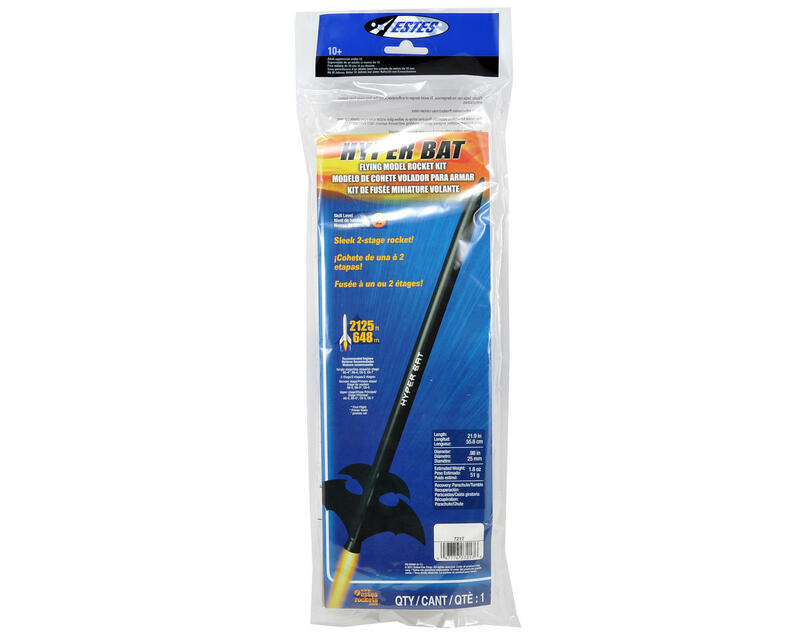 This is the Estes Hyper Bat Rocket Kit. A sporty 2-stage sport rocket standing over twenty inches tall, the Hyper Bat is one impressive rocket. This rocket can be flown as a single stage or 2-stage and can reach out-of-sight heights of 2125 feet. The Hyper Bat flies on standard engines and a twelve inch parachute brings it back to earth. Note: Unless otherwise specified, all models require assembly. Tools, construction and finishing supplies sold separately.